Ensuring your new and existing products are safe and legal requires both administrative and technical compliance. Placing the CE Mark on a product is an important step for any manufacturer, signifying to the supply chain that important regulatory requirements have been met. The consequences of getting it wrong can be financially costly, and negatively impact the brand and the reputation of manufacturers, importers and distributors. Our administrative and technical compliance product review service can help you avoid such pitfalls. We can review the compliance of your product against both the administrative and technical requirements of the relevant directives. European legislation, in the form of the Electromagnetic Compatibility (EMC), Low Voltage (LV) and Radio Equipment Directives, contains a series of both technical and administrative requirements which must be satisfied before the CE marking can be applied. The latest CE Marking Directives include enhanced market surveillance activities across Europe and, aided by new traceability requirements throughout the supply chain, enable non-compliant products to be more quickly identified and removed from the market. Directives, standards and the products themselves all change with time, meaning that a once compliant product becomes non-compliant often without the manufacturer realising. 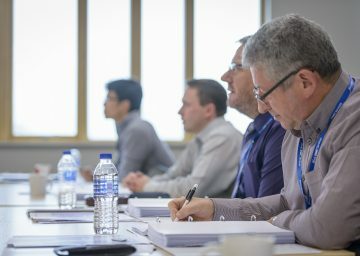 Eurofins York Product and Documentation Compliance Health Check is a flexible service designed to reduce risk and increase product confidence throughout the supply chain. What does a product compliance health check include? Whatever the outcome of your health check, Eurofins York can assist in ensuring the products are compliant when placed on the market and remain so throughout their life cycle. For more information on our administrative and technical compliance product review service, or to enquire about your Product and Documentation Compliance Health Check, please contact the Expert Services team at our York office.